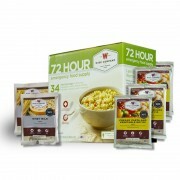 7 yr shelf life · Made in USA · Quality Guaranteed Comes with 6 entrées and 3 breakfast meals.. 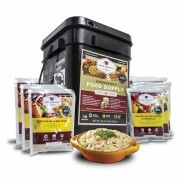 This box includes 12 servings of entrees, 8 servings of breakfasts, and 14 servings of milk. 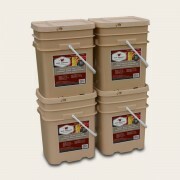 This..
Food Storage Guys are proud to introduce the new Wise Prepper Pack! 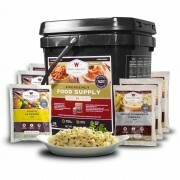 The Wise Vegetarian 3 Day.. 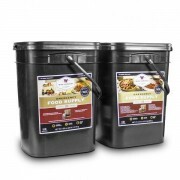 When determining how much food is needed to maintain one's strength, it is more important to cons.. 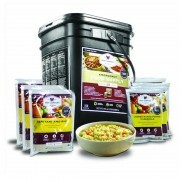 When determining how much food is needed to maintain one's health, it is more important to consid.. 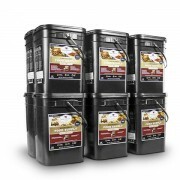 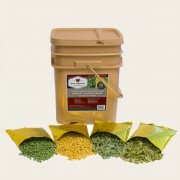 The Wise Vegetarian 10 day Primary Food Storage bucket will provide one adult with 1,992 calories.. 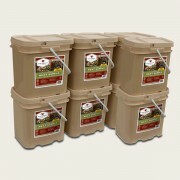 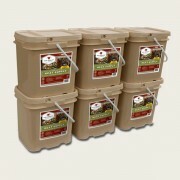 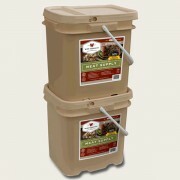 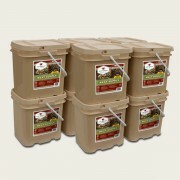 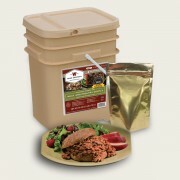 The Wise Meat 7-Day Primary Food Supply Kit provides one adult with 2260 calories per day for 7 f.. 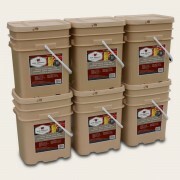 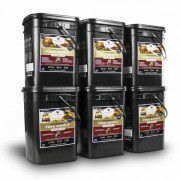 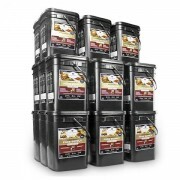 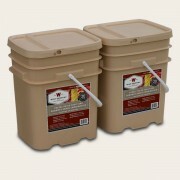 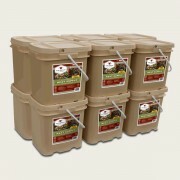 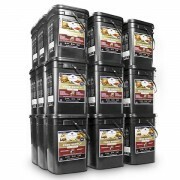 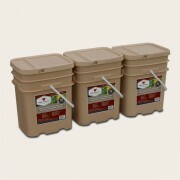 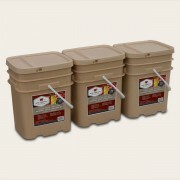 The Wise Vegetarian 3 Month - 720 Serving food storage supply provides one adult with 1910 calori.. 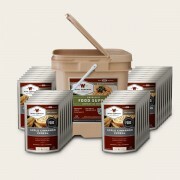 The Wise Vegetarian 6 Month - 1440 Serving Primary food storage supply provides one adult with 19..
Black Friday through Cyber Monday Sale: Get a FREE Five Day Emergency Survival Kit with purchase of ..
120 Serving lunch and dinner entrée assortment. 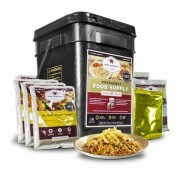 Does not include breakfast. 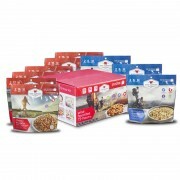 Only $2.08 per s..
120 Servings breakfast assortment. 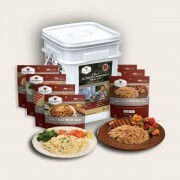 Does not include lunch and dinner entrées. 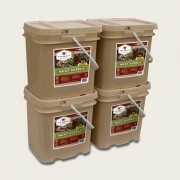 Only $1.67 per..
60 servings of assorted gourmet seasoned freeze dried meat + 20 bonus servings of long-term emerg..
120 servings of assorted gourmet seasoned freeze dried meat + 40 bonus servings of long-term emer..
Black Friday through Cyber Monday Sale: Get a FREE Five Day Emergency Survival Kit with purchase ..
120 Servings of Freeze Dried Vegetables and Gourmet Flavored Sauces - These assorted vegetables a..
240 Servings of Freeze Dried Vegetables and Gourmet Flavored Sauces - These assorted vegetables a..
360 Servings of Freeze Dried Vegetables and Gourmet Flavored Sauces - These assorted vegetables a..
480 Servings of Freeze Dried Vegetables and Gourmet Flavored Sauces - These assorted vegetables a..
1080 Servings of Freeze Dried Vegetables and Gourmet Flavored Sauces - These assorted vegetables .. 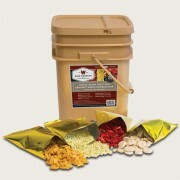 This 120 Serving Fruit & Snacks supply is perfect for desert, breakfast or a refreshing break.. 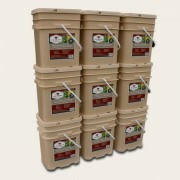 This 240 Serving Fruit & Snacks supply is perfect for desert, breakfast or a refreshing break.. 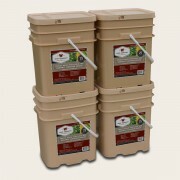 This 360 Serving Fruit & Snacks supply is perfect for desert, breakfast or a refreshing break.. 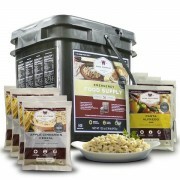 This 720 Serving Fruit & Snacks supply is perfect for desert, breakfast or a refreshing break.. 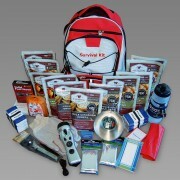 Provides One Adult | All Essential Survival Needs | Includes Food For 2 Weeks • Be.. 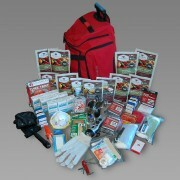 Provides One Adult | All Survival Needs | Includes Food For 2 Weeks • Be Prepared ..